Twenty years ago, Jessica Rutzick committed her career to helping people through difficult, life-changing events–all involving lawsuits. Car wrecks, work-place injuries and insurance denials all cause tremendous financial and emotional stress. Jessica devotes her law practice to meet each of your individual needs and concerns. She loves to take on the largest corporations and powerful insurance companies. In her personal injury practice, Jessica identifies and explains system failures and uses her knowledge hold your adversaries accountable. In addition to compelling results, Jessica provides closure, allowing you to move forward with your life. 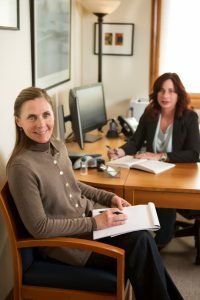 Ms. Rutzick’s litigation practice is built on success. This success starts with taking the time to understand you and your objectives. She then pursues your case with tenacity, skill, and efficiency, always prioritizing your interests and needs. If you are going to court, you can count on Jessica Rutzick’s advice and counsel. Whether your insurance claim has been improperly denied or delayed or you need help getting compensation for a serious injury, we can help you fight for your rights under the law and ensure that your best interests are fully upheld. Contact Jessica Rutzick & Associates today by calling (307) 733-8140 to speak with a member of our well-qualified legal staff and learn more about what we can do for you.